If you are looking for Laughing Squid content on Google+, consider adding my personal profile +Scott Beale to one of your circles. 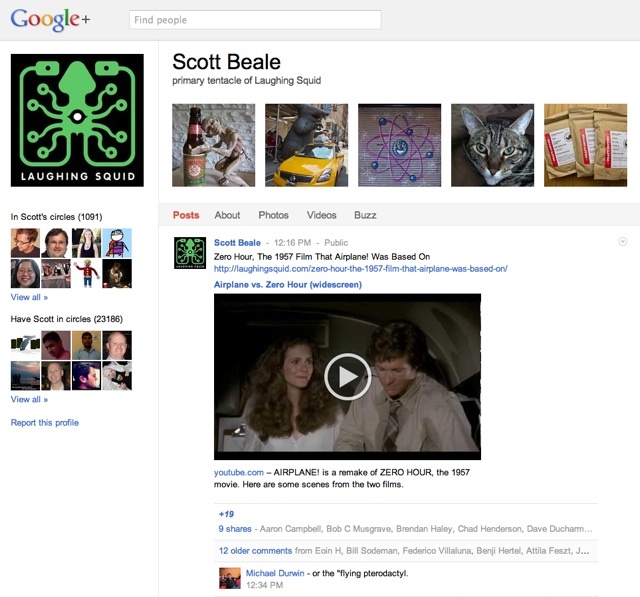 Once Google+ officially supports brands we will be setting up an proper account for Laughing Squid. Some of our guest bloggers are using Google+, so might want to look them up as well.